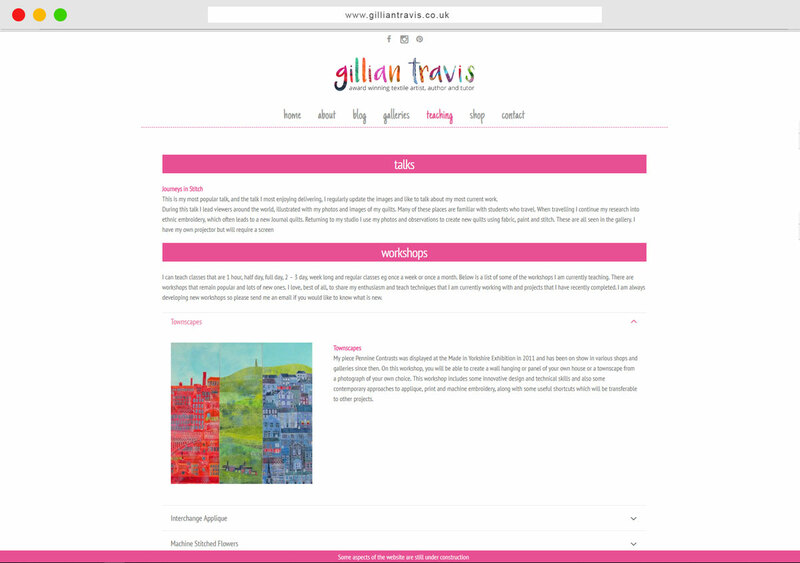 Gillian Travis is an award winning Textile Artists, Author and Tutor. 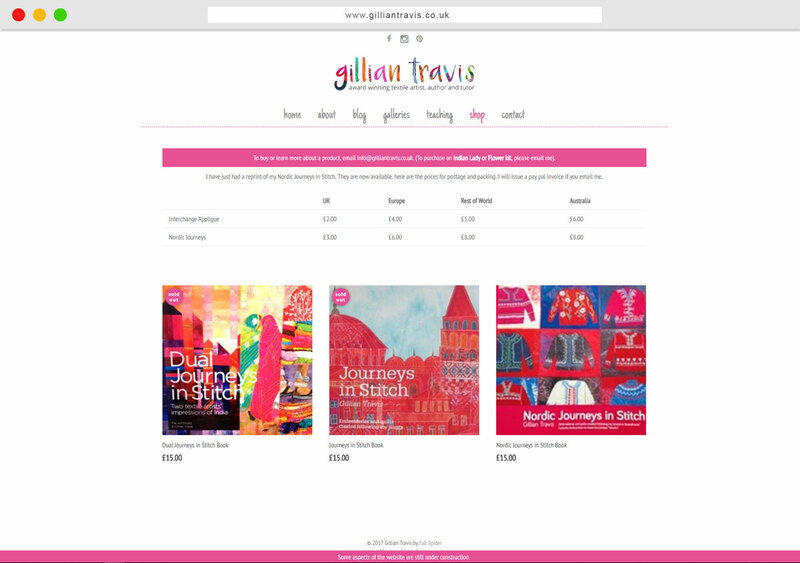 She is a trained designer and always has fresh new ideas for new work. 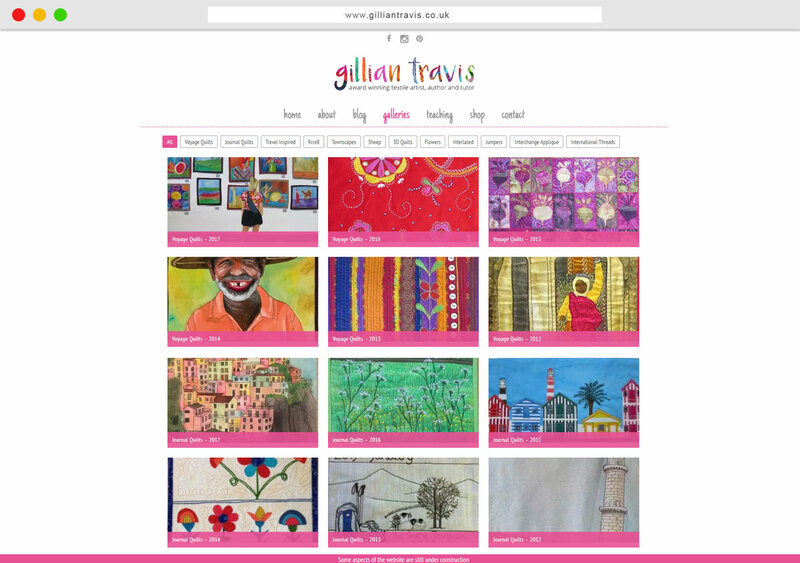 She produces bright colourful quilts that she designs and herself. 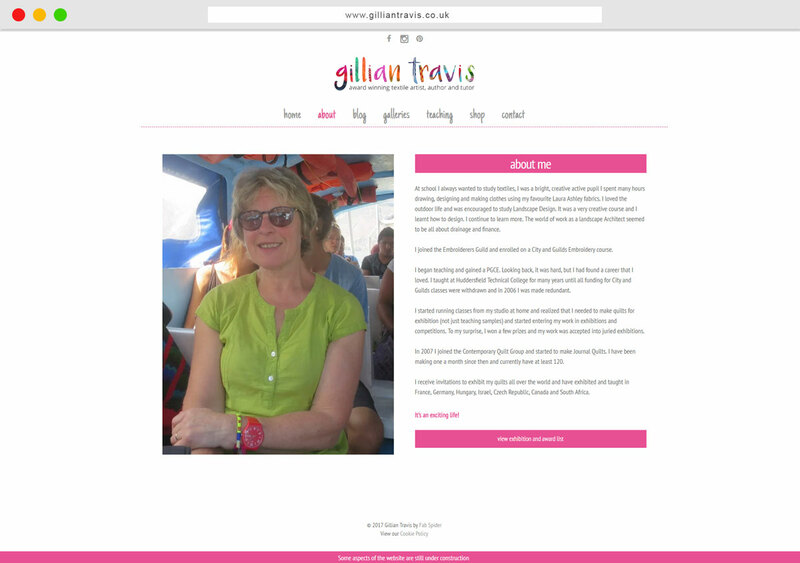 Gillian loves to work with bright and vibrant colours so that made it easier when it came to designing her website. 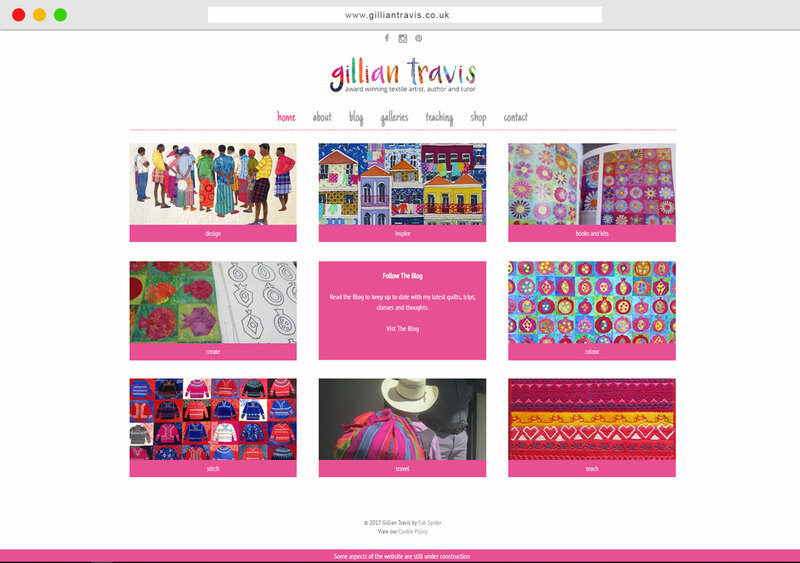 The bright and vibrant colours reflects her quilt designs.